The steeple of St. Mary’s Catholic Church towers like the tall mast of a ship above the vast pastures surrounding the historic community of High Hill. 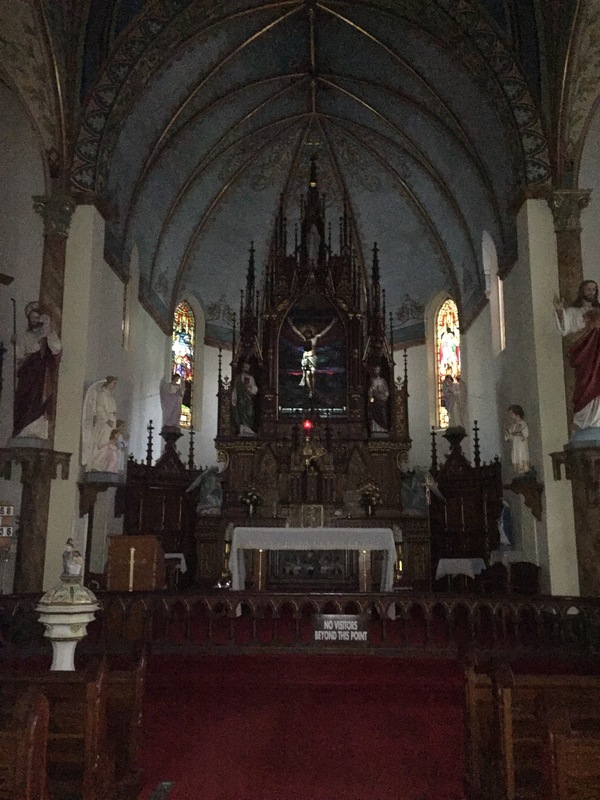 Founded by German and Austrian-Moravian settlers in the 1840s, High Hill is home to the beautiful St. Mary’s Catholic Church, known as the Queen of the Painted Churches. The painted churches of Texas are indeed a treasure. St. Mary’s was designed and built in 1906 by Leo Dielmann, a young architect from Germany. 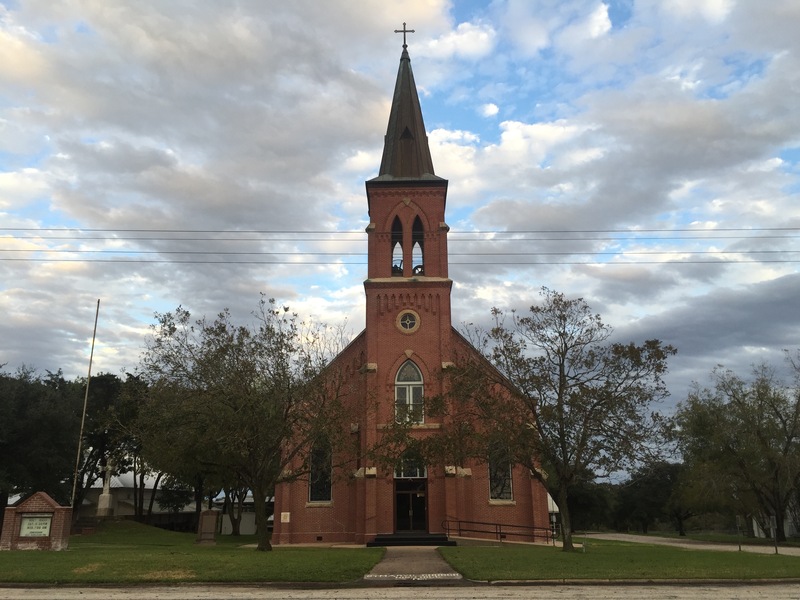 At a time when churches were built in the more practical Mission style that was better suited to the hot Texas climate, Dielmann championed the classic gothic revival architectural style. Many of the wood churches of the period were destroyed by fire and storms, thus influencing German and Czech immigrants to build their churches of brick or stone. In its early years, High Hill was a stop along a transcontinental stage-coach route. However, when the Galveston, Harrisburg, and San Antonio Railway wanted to lay tracks through their community, the residents refused to give the railroad any right of way. They feared that doing so would destroy the tranquility of the town. Instead, the railroad built its line south of town and Schulenburg was founded as a result. As for High Hill, it remained a quiet and tranquil little town. Today, St. Mary’s Catholic Church remains as an enduring and endearing monument to the faith of the early settlers of High Hill. The interior of the church is absolutely beautiful. Every ornate detail testifies to the remarkable craftsmanship and talent of the artists and builders. The interior is a symmetrical feast for the eyes. The stained glass windows allow just enough light to seep in to enhance the worshipful atmosphere. You can easily sense that the church’s builders labored for the glory of God. Visiting the Queen of the Painted Churches is certainly worth taking the short three-mile detour north of Schulenburg on Interstate 10. 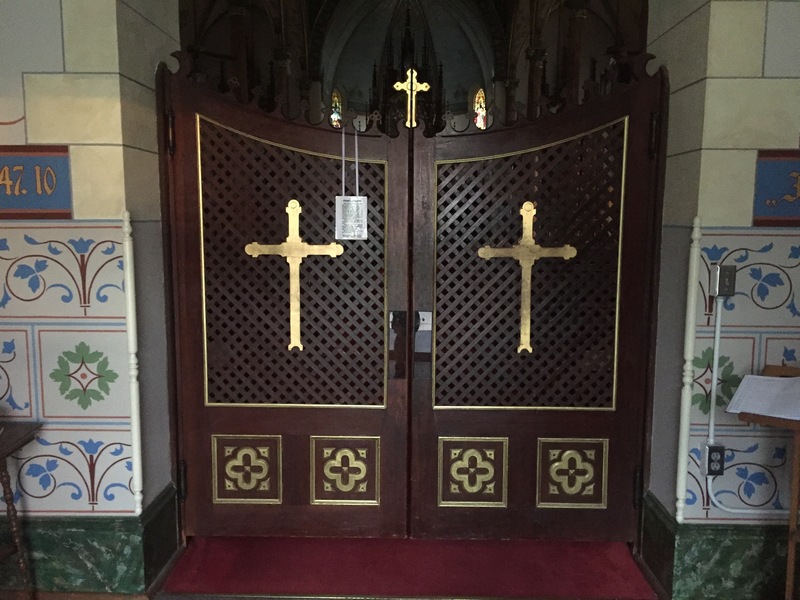 The doors are open and guests are requested to show proper etiquette when visiting the church. Be sure to take your camera. 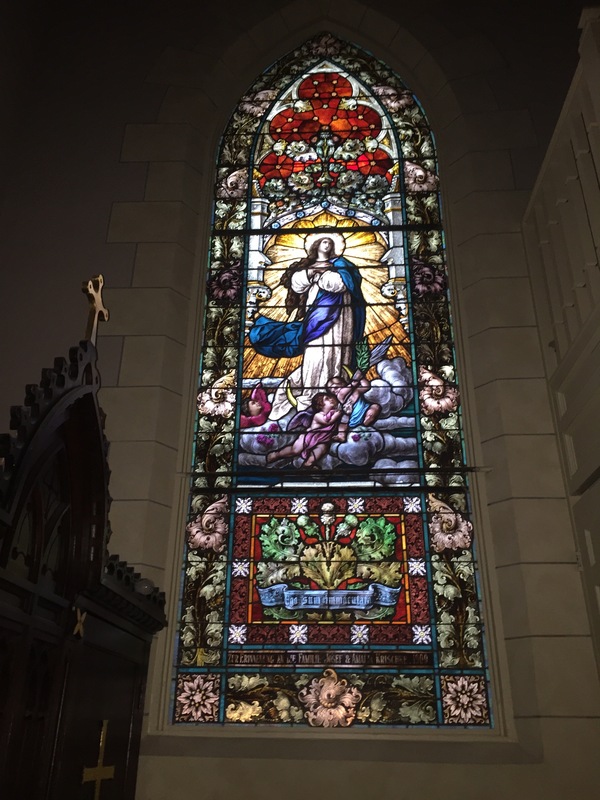 Once you stop by for a visit, you’ll understand why St. Mary’s is on the National Register of Historic Places and has earned the title Queen of the Painted Churches. This entry was posted in Churches and Missions, Painted Churches of Texas and tagged High Hill, Painted Churches of Texas, Queen of the Painted Churches, St. Mary's Catholic Church. Bookmark the permalink.